CSIL experts constantly monitor international trends for selected industries (furniture and furnishing, lighting and appliances, building materials, and others). We analyse market opportunities in more than 70 countries. 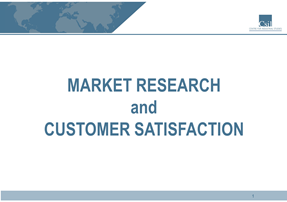 CSIL research offers business services aimed at informing decision-making processes and answering specific questions. Building on internal sectoral know-how and comprehensive dataset and a network of international experts, we provide updated and information for your investment decisions. In addition to its specialized research and consulting activities, CSIL develops customized projects aimed to meet specific needs of the client and to find custom made solutions. CSIL customized projects are based on a multidisciplinary approach, using both desk and field analysis. Our multi-task team of experts works with and for customers, in order to provide targeted services to operators of private and public sectors in Italy and abroad. CSIL partners and correspondents are based in countries like: Brazil, China, Denmark, Finland, France, Germany, Greece, India, Ireland, Lithuania, Portugal, Russia, Spain, Tunisia, United Kingdom, and United States. Approximately 2000 clients in 70 countries during the last ten years, including 20 among the "Fortune Global 500" companies, some of the leading consulting groups, national and international institutions (including the European Commission, the World Bank, the African Development Bank), national and international trade associations.